There are numerous factors that play vital roles in determining your car insurance rates, and your age happens to be one of them. However, often times being a senior citizen gives you the liberty to enjoy lower car insurance premiums. Many insurance companies these days offer discounts to senior drivers because they consider them to be safe drivers. Senior citizens are considered more relaxed drivers, unlike other drivers using cars for commuting purposes. Studies have also shown that senior citizens do not engage themselves in other things that may be a form of distractions like speeding and using their phones. Hence, when taking car insurance for seniors, they are provided with various discounts. If you are a senior citizen with good driving records, you will certainly enjoy a good premium when taking car insurance. It is important to keep an up-to-date record of your mileage when you intend to take senior citizens car insurance. By updating your mileage you will be able to let the insurance company know that you no longer drive just to commute a long distance. If you had been driving 12,000 miles before, and now you only drive 6,000 miles, you will definitely enjoy a discount on your premium. 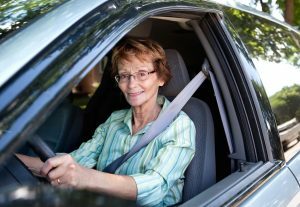 Prior to taking car insurance for seniors, it is essential for you to take a course like a driver safety course or an accident prevention course. These courses will help you polish your driving skills. You will learn the current road rules, good driving techniques, as well as how to operate your vehicle more safely. Besides, you will also learn how to manage changes in your vision, hearing and reaction time. However, since different states approve different driver safety courses, you should find out which course you should take in order to be eligible for the particular discount provided by the particular company. In some states, certain insurance companies give priority to a senior citizens medical driving report prior to approving car insurance for elderly persons. A medical driving report allows insurance companies to know if, as a senior citizen you have medical issues that can affect your driving abilities. A good medical driving report will certainly give you good rates. Prior to taking car insurance, you should look up for all the possible discounts that a company can provide. You could do research on numerous companies before deciding on which one suits you best. By doing so, you will be able to get the best car insurance from all the other insurance out there for a senior citizen. In fact, you might be losing a lot by clinging on to an old policy that does not offer new benefits. It is important for senior citizens to understand and know what type of insurance they are taking. Some insurance companies will provide lesser offers while others may provide more. Hence, prior to taking an insurance policy, it is advised to do a good research on the benefits provided by each insurance company.